Announcing the 2015 Beyond Bree Calendar! The Hobbit and The Lord of the Rings, may be the most important and influential fantasy books ever published. Next to these, Tolkien wrote and published an enormous amount of other books: Farmer Giles of Ham, Smith of Wootton Major, Roverandom, Mr. Bliss, Children of Hurin, Legend of Sigurd and Gudrun... to name some. 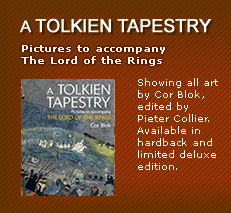 The aim of this website is to show all books which are currently inside the Tolkien Library. This will give a very good idea of how many books have contributions by the professor and how many fantastic works he actually has written. Once in a while i will write reviews on upcoming books published, or general reviews or thoughts. Also you can find all about how to collect Tolkien books. There is always something happening, either there is published a new book about Tolkien, like The History of the Hobbit or The Tolkien Guide and Companion, there is released a brand new book like The Children of Hurin and The Legend of Sigurd and Gudrun, made a movie adaptation of The Lord of the Rings and The Hobbit and then there is The Hobbit slots games & latest slots at mobileslotsite.co.uk. This site will be reporting on all latest book news, do reviews and interviews with the authors and artists. If you have Tolkien news, want a book to be reviewed or want to promote an event, just contact me. If you need a custom essay writing service - contact SmartWritingService.com. If you are looking to find more about all books written by J.R.R. Tolkien, read his biography or listen to the voice of the author, please enjoy this site and learn more about the professor, the inventor of hobbits and the creator of a new mythology - as seen in The Hobbit and The Lord of the Rings! The Tolkien Library Store always has a large amount of rare and collectible Tolkien books up for sale. These always have a high collectible value and are of the finest on the market. Available are both the UK and US editions, original cloth bindings, custom cloth bindings, and signed / numbered / limited editions. Rare items are also available, including books and letters signed by J.R.R. Tolkien, proof copies and books from the author's personal library. 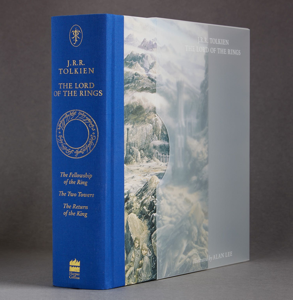 If you are looking for original bindings of The Hobbit, deluxe editions of The Lord of the Rings, signed Tolkien books, a special edition of The Children of Hurin, a limited edition of The Hobbit, rare Tolkien ephemera, signed Deluxe editions, Fairy Tales from the professor or custom rebound copies of The Lord of the Rings, The Hobbit, The Silmarillion, this book store has always a good stock. 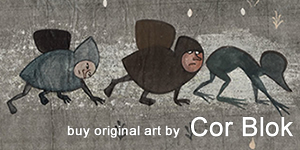 We are specialized in the most unique The Hobbit, The Lord of the Rings, The Silmarillion, The Children of Hurin books. Not all items are on display in the book store, so please do not hesitate to make requests about special items you are trying to find. Whatever you are looking to buy or sell,we will always try to help.